One of the most frequent topics we regularly cover with our patient’s in the treatment room at Gorey Family Chiropractic as well as in the Spinal Health Class is how to lift correctly. Correct lifting technique really is essential in preventing back pain as well as facilitating a recovery from back injuries. A few simple steps and you will dramatically cut down the chances of hurting your back whilst lifting. Before you lift a heavy object, think through your task. Decide where you’ll place the object and how you’ll get it there. If an object is too heavy to lift safely, find somebody to help you. To lift an object from the floor, stand as close to the object as possible. Then kneel, resting one knee on the floor. Don’t lift from a standing position with your waist bent or your knees locked. With one knee resting on the floor, tighten your core muscles — including the muscles in your abdomen, back and pelvis — and lift the object between your legs. Maintain the natural curve in your lower back, and don’t hold your breath. Be careful to hold the object close to your body. Rest the object on your knee as you prepare to stand. As you stand, maintain the natural curve in your lower back and keep your core muscles tight. 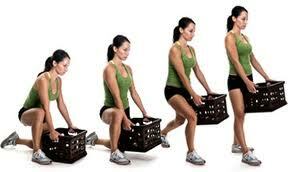 Use your leg muscles — not your back — to lift the object. As you stand, be careful to hold the object close to your body. Maintain the natural curve in your lower back, and keep your core muscles tight. Use your leg muscles — not your back — to lift the object. 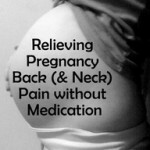 If you are one of our existing Client’s, have you been for your complimentary Spinal Health Class at the practice? Filled with information to help you make a faster recovery and maintain your back in good shape in the longer term it covers everything from lifting postures to exercises to mattresses. If you haven’t been it runs every fortnight at the practice on a Monday or Wednesday evening after clinic finishes. If you haven’t been you’re missing out! Your low back pain can be the result of many different things. Back pain can be triggered by combinations of strain, overuse, and or injuries to the ligaments, joints and discs of the spine. Over time injury that has not been managed correctly can lead to an imbalance in the spine which can lead to constant tension in the muscles, ligaments and joints making your low back more prone to injury or re-injury. Treatment combined with rehab has been scientifically shown to have greater success at preventing recurrent low back pain than either treatment or exercises on their own. 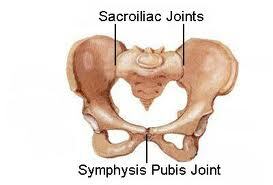 So where do you start if you are experiencing recurrent low back pain. 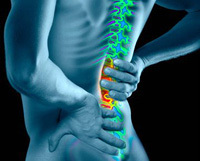 Since low back pain can be caused by injury to various structures in the spine and it’s supporting structures it is important to consult your chiropractor or other spinal specialist if you have back pain lasting longer than 1-2 weeks which is undiagnosed. Your chiropractor can provide a specific diagnosis and explain what structure is injured so that you can be guided as to which treatment and exercises are appropriate for your specific injury. 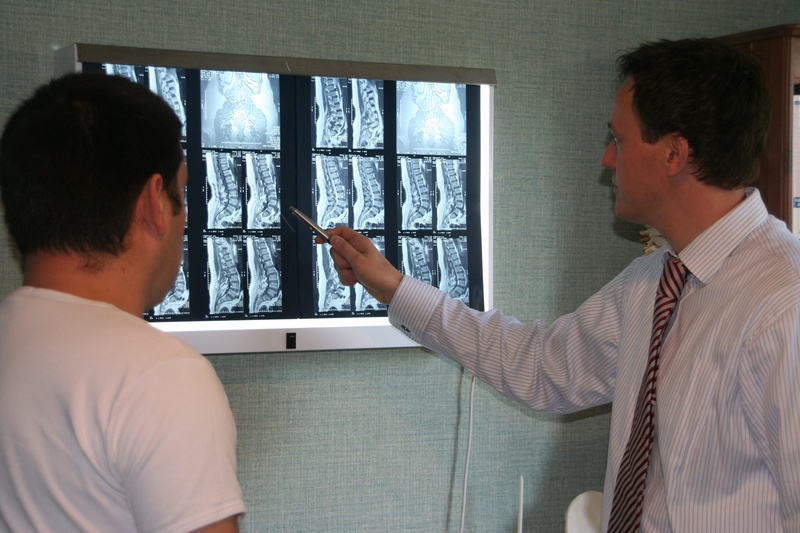 If you are an existing client of Gorey Family Chiropractic you will have already been thoroughly physically examined, with x rays taken or scans arranged if clinically neccessary, so that your your complaint could be diagnosed comprehensively and the benefits of rehab for your condition if it was necessary will have been explained to you. Different spinal problems can be treated with differing protocols regarding exercise, but low back and flexibility exercises have been shown to helpful for almost all types of back problems. Low back exercises concentrate on strengthening your abdominal muscles, helping give stability to your spine. Rehabilitation progra ms that focus on strengthening lumbar muscles combined with core stability and proprioception work also help reduce the risk of low back pain in the future if exercises are done correctly, and on a regular basis. The Lumbar/Core Strength and Stability programs can be utilised if you are one of our clients recovering from a specific injury or if it has been identified that you may be at risk of developing further spinal problems in the future. Programs always include flexibility and strengthening components. Rehab programs are divided into easy, medium and more difficult levels, which clients work through themselves but under the guidance of one of our Chiropractic/ Physiotherapy team. It is always recommended to start with the “Easy” exercises, and perfect those before moving to “Medium” or “Difficult”. So what is the “core”? The “core” is comprised of several groups of muscles including the transversus abdominus, multifidus, diaphragm and pelvic floor muscles. 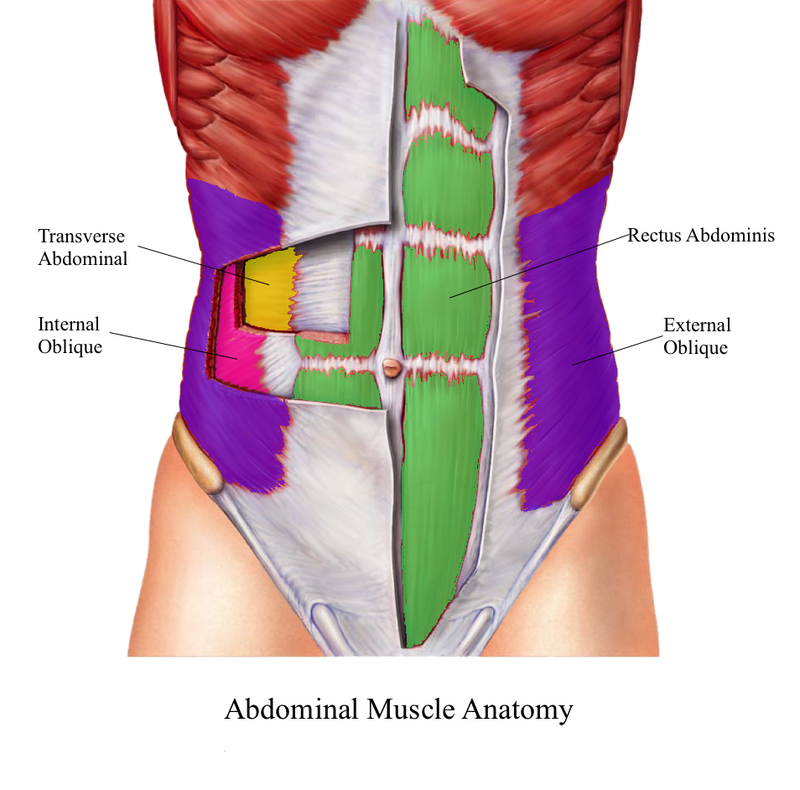 These muscles work together to produce maximum stability in the abdominal and lumbar (lower) back region, as well as coordinating the movement of the arms, legs, and spine. Professor Stuart McGill is one of the worlds leading experts on Spinal Rehabilitation based at the University of Waterloo Canada. His expertise in spinal rehab has been utilized by governments and public bodies as well as elite athletes. In this video he demonstrates how to effectively and safely strengthen the core without aggravating the lower back or discs. This great video from Professor Mc Gill and his team is excellent for referencing the best exercises for the core, thereby strengthening the core effectively and most importantly safely for those of you with lower back or disc problems. As always our Gorey Family Chiropractic Clinical team will guide you through a specific programme for your individual case to complement your programme of Chiropractic care and to ensure you recover faster and stay well in the long term. For your convenience all our clinical team is registered with VHI, Aviva and Laya Healthcare allowing clients of Gorey Family Chiropractic to claim reimbursement from a range of Private Health Insurers. 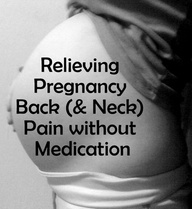 Feel free to contact our Gorey Family Chiropractic Clinical Team at info@chiropractor.ie or 053 94 83338 with any questions or if you are a new patient with low back pain, sciatica or disc problems seeking guidance. The Chiropractic team at Gorey Family Chiropractic are not only concerned with treatment, we also incorporate the benefits of exercise and rehabilitation in combination with treatment to return the spine to a strong stable condition preventing future episodes of back pain. So how can we do this? Our back muscles are involved in every move we make. The spinal system includes muscles along with the bones, discs, joints and ligaments in the trunk and abdominal area, together known as the core. This complex system helps our bodies twist, turn, bend, extend and bear stress from everyday activities. Weakness, imbalance or tightness in the muscles that support the spine creates imbalance and can lead to abnormal posture, muscle fatigue and back pain. The following exercises suitable for all levels help build core muscles to protect the spine and help prevent back pain. There are a number of different ways to strengthen your core. 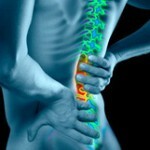 The exercises you choose will depend on whether you have had back problems before, and your age. Be sure to discuss any exercise program with one of our Gorey Family Chiropractic team if you are unsure or if you are in pain at the moment. Pool walking is a low-impact way to build core muscles. As you move, the core works against the force of the water. This is gentle on extremities such as knees, hips, ankles and feet. Exercise vid eos or specific instruction from one of the Gorey Family Chiropractic team will help you understand how to use an exercise ball appropriately. These exercises are deceptively simple and with practice, you can increase the intensity gradually to great effect. A popular core booster is the side plank. Lie on your right side with your right hand on the ground. (Beginners should use the elbow.) Lift yourself up to form a plank, with your right arm straight and left arm at your side. Hold the position, then repeat. Be sure to keep the body in a straight line while tightening the abdominals and gluts. Disciplines such as tai chi, Yoga and Pilates help target core muscles. Sign up for a class or rent a DVD exercise program to try at home. Tai chi is low impact and ideal for people with a history of musculoskeletal problems. Choose “relaxation” yoga for lower impact. Pilates is centered around building core strength and improving posture.